Born in 1955 in Norwich, the son of artist and art dealer Joseph Fairhurst, Miles studied briefly in France and under his father, but is largely self-taught. 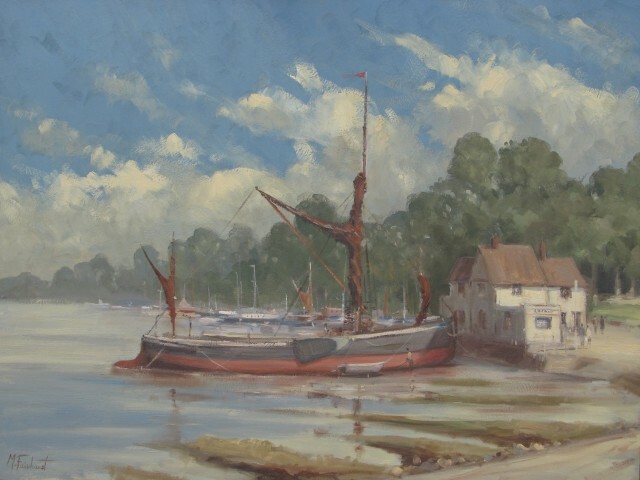 His principal influences are the great East Anglian painters of the 20th Century such as Sir John Arnesby-Brown and Edward Seago. These artists were very interested in light and atmosphere, the effect of sunshine and shadow on the landscape and the interplay of warm and cool colours. This is something Miles strives to emulate in his own work, the true subject matter sometimes taking second place to the mood of the painting. He shares their great love of the broad East Anglian skies and the ever diminishing wild places that are such an inspiration and encourage his semi- impressionistic handling of the subject - a special favourite being sand dunes and beaches, quite often without the presence of human beings. Miles has many paintings in private collections in Britain, Europe, Australia, New Zealand and the USA. He has exhibited occasionally at The Royal Society of Marine Artists’ annual exhibition at the Mall Galleries, London. He is a member of the Suffolk Coastal Group of artists and Norwich Art Circle.